The Alzheimer's Disease Assessment Scale-Cognitive Subscale test is one of the most frequently used tests to measure cognition in research studies and clinical trials for new drugs and other interventions. It's more thorough than the Mini Mental State Exam, and it primarily measures language and memory. The ADAS-Cog consists of 11 parts and takes approximately 30 minutes to administer. The ADAS-Cog was developed as a two-part scale: one that measured cognitive functions and one that measured non-cognitive functions such as mood and behavior. Most current research uses the ADAS-Cog, which is the subscale that measures cognitive ability. When and Why Was the ADAS-Cog Developed? The ADAS was first published in 1984 by researchers who noted that there was not a good way to clearly measure the amount or degree of cognitive impairment. There were other scales and assessments that determined if there was a deficiency in cognition, but none that consistently and accurately identified how much dysfunction was present. What Kinds of Questions Does the ADAS Contain? You are given three chances to recall as many words as possible from a list of 10 words that you were shown. This tests short-term memory. Several real objects are shown to you, such as a flower, pencil and a comb, and you are asked to name them. You then have to state the name of each of the fingers on the hand, such as pinky, thumb, etc. This is similar to the Boston Naming Test in that it tests for naming ability, although the BNT uses pictures instead of real objects, to prompt a reply. You are asked to follow a series of simple but sometimes multi-step directions, such as, "Make a fist" and "Place the pencil on top of the card." This task involves showing you four different shapes, progressively more difficult such as overlapping rectangles, and then you will be asked to draw each one. Visuospatial abilities become impaired as dementia progresses and this task can help measure these skills. Your orientation is measured by asking you what your first and last name are, the day of the week, date, month, year, season, time of day, and location. This will determine whether you are oriented x 1, 2, 3 or 4. In this section, you are asked to read and try to remember a list of twelve words. You are then presented with those words along with several other words and asked if each word is one that you saw earlier or not. This task is similar to the first task, with the exception that it measures your ability to recognize information, instead of recall it. Your ability to remember directions without reminders or with a limited amount of reminders is assessed. The ability to use language to make yourself understood is evaluated throughout the duration of the test. Your ability to understand the meaning of words and language over the course of the test is assessed by the test administrator. Throughout the test, the test administrator assesses your word-finding ability throughout spontaneous conversation. What Does the ADAS-Cog Assess? The ADAS-Cog helps evaluate cognition and differentiates between normal cognitive functioning and impaired cognitive functioning. It is especially useful for determining the extent of cognitive decline and can help evaluate which stage of Alzheimer's disease a person is in, based on his answers and score. The ADAS-Cog is often used in clinical trials because it can determine incremental improvements or declines in cognitive functioning. How Is the ADAS-Cog Scored? The test administrator adds up points for the errors in each task of the ADAS-Cog for a total score. The greater the dysfunction, the greater the score. A normal score for someone who does not have Alzheimer's or another type of dementia is five, according to research conducted in 2004 and published in the journal Alzheimer's Disease and Associated Disorders. In contrast, research that involved more than 1,000 participants reported that 31.2 was the average score in that study for those who have been diagnosed with probable Alzheimer's disease or mild cognitive impairment. How Is the ADAS-Cog Administered? Traditionally, the ADAS-Cog has been administered by paper and pencil; however, there is also a electronic version that has been shown to be comparable to the pencil and paper version. How Effective Is the ADAS-Cog in Measuring Cognitive Functioning? The ADAS-Cog is quite accurate, both in differentiating people with normal cognition from those with impaired cognition, as well as in assessing the extent of cognitive impairment in individuals. However, some research studies have concluded that the ADAS-Cog might not be difficult enough to consistently detect mild cognitive impairment. The ADAS-Cog has been translated into several other languages, some of which have been tested for validity across language and culture. There is also another version of the ADAS-Cog which changes how the test is scored. It's called the ADAS-CogIRT, where "IRT" is an abbreviation for "item response theory." This version uses the same test but scores it differently, with the goal of improved detection of mild cognitive impairment. Other versions of the ADAS-Cog include categories such as executive functioning and functional ability components, additions also meant to increase the tests's ability to screen for mild cognitive impairment. The ADAS-Cog can be a useful test in assessing whether dementia is present, as well as how far it has progressed. It's not unusual to be a little anxious if you or your loved one are taking this test, but remember that its purpose is to help identify and attempt to treat any cognitive problems that may be present. Alzheimer's Disease and Associated Disorders. 2004 Oct-Dec;18(4):236-40. The Alzheimer's Disease Assessment Scale-Cognitive subscale: normative data for older adult controls. Current Alzheimer Research. Volume 8, Number 3, May 2011 , pp. 323-328(6). 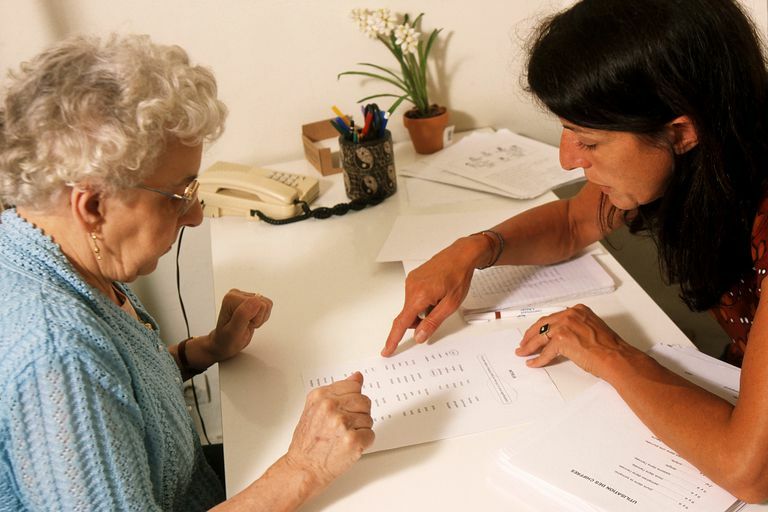 Psychometric Comparison of Standard and Computerized Administration of the Alzheimer's Disease Assessment Scale - Cognitive Subscale (ADASCog). Verma N, Beretvas SN, Pascual B, Masdeu JC, Markey MK, The Alzheimer’s Disease Neuroimaging Initiative. New scoring methodology improves the sensitivity of the Alzheimer’s Disease Assessment Scale-Cognitive subscale (ADAS-Cog) in clinical trials. Alzheimer’s Research & Therapy. 2015;7:64. doi:10.1186/s13195-015-0151-0. Skinner J, Carvalho JO, Potter GG, et al. The Alzheimer's Disease Assessment Scale-Cognitive-Plus (ADAS-Cog-Plus): an expansion of the ADAS-Cog to improve responsiveness in MCI. Brain Imaging Behav. 2012;6(4):489-501. What Memory and Thinking Tests Do Doctors Use to Evaluate Dementia? Can an MRI Detect Alzheimer's Disease? Is It Alzheimer's Disease or Vitamin B12 Deficiency?